Shall we dance? 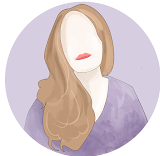 After a humiliating divorce and watching her former rock star husband leave her for a model live on reality TV, Pippa is determined to disappear. So she returns to the small Kent village where she grew up to make a fresh start. Little did she know that would mean saving her beloved childhood dance school or falling for her old school crush Tom too! The weather is glorious and i literally just picked up the first book i came across to sit with in the garden, little did i know three hours later - it would be finished and my heart would be much warmer. Pippa has just returned home after her husband very publicaly falls in love with a model, who is nothing like herself, fleeing her former life she heads back to the little village she grew up in to heal her wounds and move on. In an attempt to no longer be the hermit she is quickly turning too - could an adult tap class be the solution? Probably not, but it gets her out the house. She didn't expect it to take over her life in more ways than one. 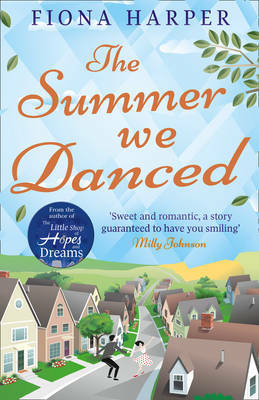 The summer we danced is a wonderful summer read, full of little village life, drama and well - a dance dad who is just...well i swooned shall we say. This is the second Fiona Harper book i have read, and like the previous it warmed my soul and sped my afternoon up - but also made me want to dig out some dancing shoes and sign up for the nearest adult class- but for now ill settle for clubbercise.